Poll – who do you support to replace Hagman in the 55th Assembly District? 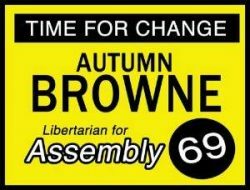 Who do you support for the 55th Assembly District? Republican School Board Member Phillip Chen is reporting $334,000 raised through June 30, and $319,000 cash on hand in his newly formed Assembly committee. Chen, a member of the Walnut Valley Unified School Board, is running in the 55th Assembly district currently represented by Assemblyman Curt Hagman, who is not running for reelection due to term limits, according to a press release published by OC Political today. Diamond Bar Councilwoman Ling-Ling Chang is apparently running for Assemblyman Curt Hagman’s seat in the 55th Assembly District, which includes parts of North Orange County, in 2014.